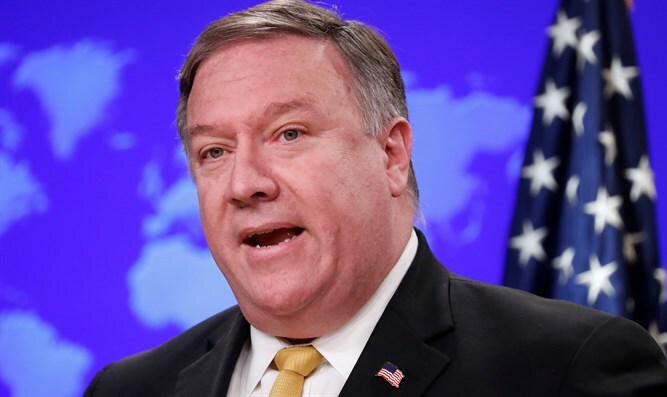 Secretary of State Pompeo says Iran fired a missile capable of carrying multiple warheads in violation of UN resolution. The Trump administration on Saturday accused Iran of test-firing a medium-range ballistic missile in violation of a UN Security Council resolution, Fox News reports. The missile reportedly has the capability to strike parts of Europe and the Middle East, according to Fox News. “As we have been warning for some time, Iran’s missile testing and missile proliferation is growing,” Pompeo said in a statement. “We are accumulating risk of escalation in the region if we fail to restore deterrence. We condemn these activities, and call upon Iran to cease immediately all activities related to ballistic missiles designed to be capable of delivering nuclear weapons,” he added. It previously tested a ballistic missile last month, when it test-fired a Fateh-110 short-range ballistic missile from an Iranian Revolutionary Guard Corps base in Bandar-e-Jask in southeastern Iran. One of the reasons cited by US President Donald Trump when he left the 2015 nuclear deal last May was its failure to address Iran’s ballistic missile program. Resolution 2231 was the Security Council’s endorsement of the 2015 Iran nuclear deal. Iran denies its ballistic missile tests violate this resolution. President Hassan Rouhani has stressed that Iran will continue to produce missiles for its defense and does not consider that a violation of international agreements.